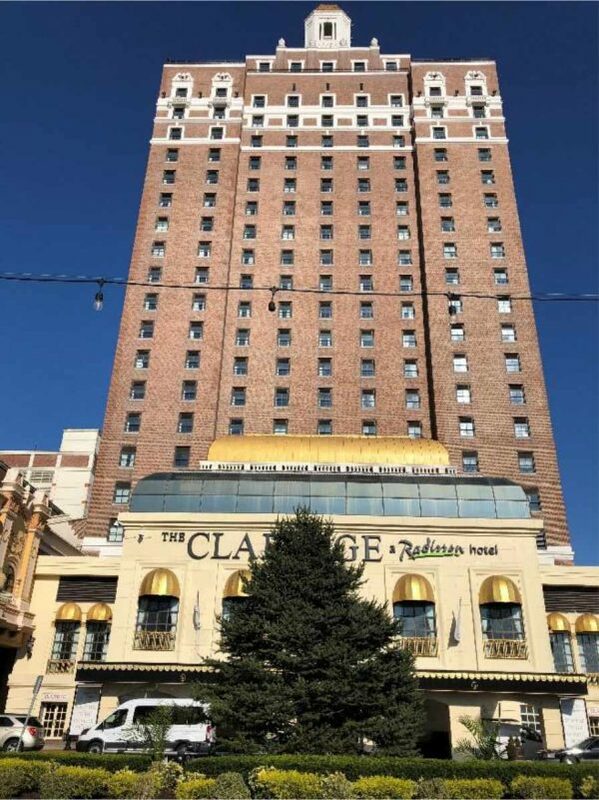 Atlantic City, NJ (Oct. 22, 2018) – The Claridge – a Radisson hotel has announced today that they will host a Winter Wonderland Tree Lighting event to benefit The Boys & Girls Club of Atlantic City. The family-friendly event will take place on Saturday, December 1 from 5 p.m. to 7 p.m. outside of the hotel at the historic Brighton Park. Admission to the event is free, however guests are encouraged to bring an unwrapped gift to be donated to The Boys & Girls Club of Atlantic City. The Winter Wonderland event will have a special appearance and photo opportunities with Santa Claus, a hot chocolate station, as well as a cookie decorating station. The Bass Pro Shop of Atlantic City will also be supporting the event by providing additional family-friendly activities aligned with the holiday season. The evening will conclude with the Claridge Hotel’s annual tree lighting ceremony taking place at 7 p.m. featuring a live choir who will be performing leading up to the lighting and assist with the ceremony countdown. About The Claridge Hotel The Claridge Hotel is an iconic Atlantic City landmark that opened in 1930 and was nicknamed “Skyscraper by the Sea.” A charming ambiance awaits guests, along with a Boardwalk Empire 20th century-style décor that is portrayed in all 480 renovated guest rooms. The hotel offers over 100,000 sq. feet of newly renovated convention and event space that is customized and designed for weddings, meetings or events. The hotel offers a panoramic skyline and ocean view at Atlantic City’s first rooftop bar, VÜE Rooftop Bar & Lounge located on the 23rd floor. Guests can also enjoy a meal at the hotels Twenties Bistro that serves classic American fair and 1920s inspired mixology at Atlantic City’s second oldest bar seven days a week. For additional information, visit www.claridge.com.